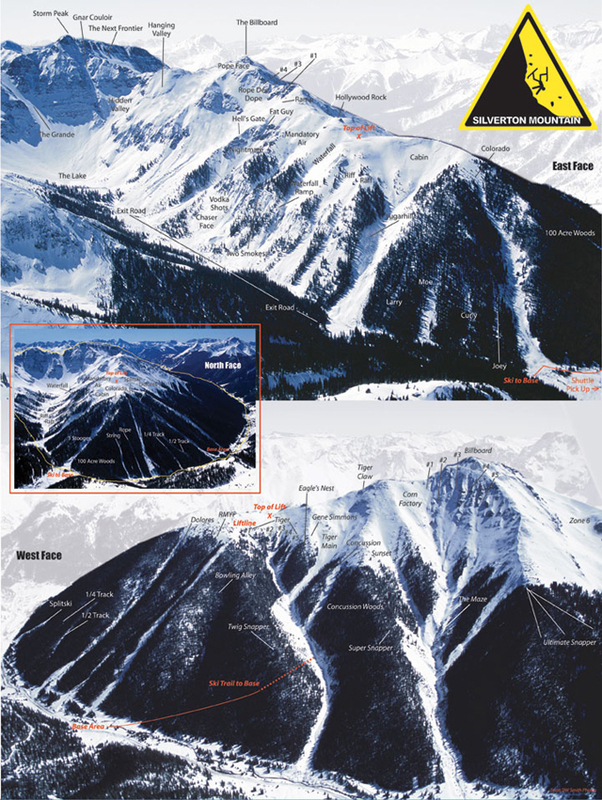 These directions are copied from Silverton Mountain Ski Areas Website http://www.silvertonmountain.com/page/store/directions Drive through the town of Silverton. At the town park make a left and stay left. When in doubt, go left. The base is approximately 6.65 miles up Hwy 110. Four-wheel drive or good driving skills are strongly recommended in inclement weather. Located one hour north of Durango (the closest airport to fly into), and roughly 6.5 hours south of Denver (you can get from downtown Denver in about 6 hours if you drive very quickly), Albuquerque is around 5.5 hrs, getting to Silverton is an incredibly beautiful drive. McClure Pass is fastest many times from Denver, but if it is snowing, stick to I-70 and exit in Clifton and follow signs to Delta/Montrose for the shortcut to 50/550 South. What airlines fly into Durango/Montrose? NEW for 2009-2010…Allegiant Air now offers direct flights between LAX and Grand Junction on Mondays and Fridays. Frontier Airlines (daily from DEN) into Durango 3 flights per day (prices have dropped as a result). United (daily from DEN), and America West (daily from PHX) fly in and out of Durango with several flights each day on each airline. The Montrose airport has American (daily from Dallas DFW), Continental (daily from Houston), Continental (from Newark- Sat only), Delta (daily from SLC), Delta (from ATL Weds, Sat, Sun), United (daily from Chicago ORD), United (daily from DEN), United (from LAX Weds, Sat). 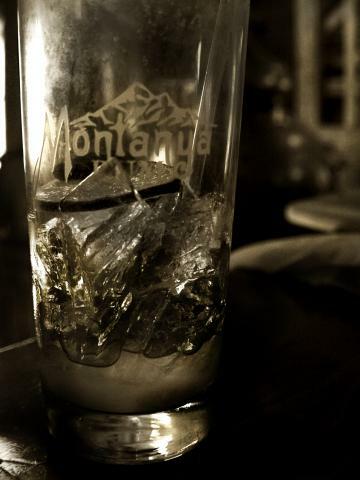 How far from Montrose, Durango or the closest airport? The town of Durango is closer and easier and is approximately 1 hour away. The airport is 1.5 from the mountain. Montrose is 1.75 hours. Driving from either direction requires driving over a mountain pass, and we recommend renting a 4-wheel drive vehicle if it is snowing. 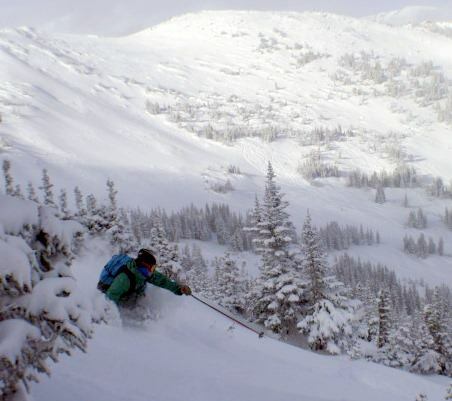 Above treeline is skiing really well, below treeline…. not so much, as of 1/4/2013.